For Nashville and the surrounding area, Top To Bottom Home Repair is the clear choice for all your home repair and renovation needs. We value your business and ensure your satisfaction. 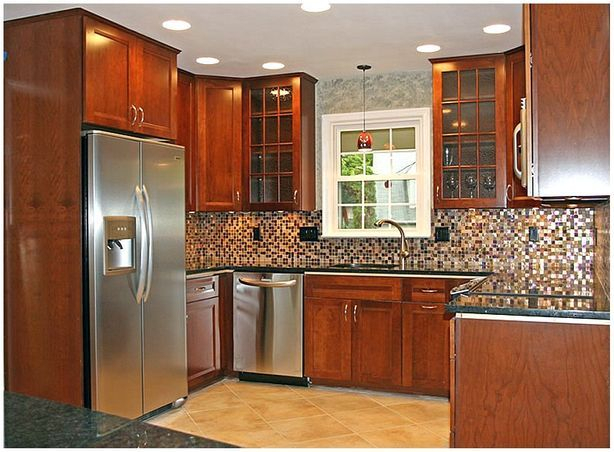 As a family owned business, we are committed to providing quality home repairs and improvements. We are a one-stop for all your home improvements, remodels, renovations and roofing needs because we do it all from "top to bottom". With over 30 years experience, it is our goal to make our customers happy. Local and Dependable. Reasonable Rates. Free Estimates. Owner/operator on site. Let us tackle your home remodel and repair "to do" lists. Let us give you a free estimate for all your projects and we will get them done. The layout and appearance of your home can truly shape your day-to-day lifestyle. If it's time to give your property an update, turn to the professionals at Top to Bottom Home Repair. As an established home remodeling firm in Goodlettsville, our goal is to transform your home so that it meets your functional and aesthetic needs. Whether you're looking to update a single room or desire more extensive renovations, we will get the job done! We do all types of hardwood and laminate flooring installations. Let us put in beautiful hardwood treads on your staircase. We also install tile and marble flooring. Call us today! Call on TTB for all your roofing needs. We will work with your insurance company to get you the best deal for a roof replacement. Call Micah Mortimer (615-480-4609) today for a FREE QUOTE. Give us a call today (615-519-4130) for all of your home improvement and handyman needs. Ken Mortimer and his awesome crew, were always very professional and quick to respond to our needs.Thanks for always being patient and understanding. We were very pleased with the outstanding installation of our new hardwood flooring and porcelain tile. We would recommend you and your crew, in the future. Thanks for the great work you do Ken, & Jeremy too! In my work, there is a lot that goes on behind the scenes. I am much more successful and efficient when I am able to employ the right people to work alongside me. Ken is my right hand man. Literally. Whenever I need something done to facilitate a client?s repair list to complete a real estate transaction, he is quick to respond and is diligent to get it done within both the time frame and financial budget we have to work with. And I can always count on it being done right! From carpentry to plumbing to electrical to replacing windows to the most minor of repairs, I heartily recommend my friend and ?handyman? We are really pleased with the job you did on our hardwood floors and stair treads. They are so beautiful. You do good work and we definitely will be using you again. Thanks again for the fine work and your competitive prices. Hi Ken, wanted to say a big thank you for the beautiful work you did on my bathroom. I absolutely love it!